As we have seen, ecological tourism or ecotourism is a new alternative to conventional mass tourism. It is an approach to tourism activities in which preference is given to sustainability, preservation and appreciation of the environment, both natural and economic and social. Because of its height, ecotourism became the fastest-growing and most dynamic global tourism market sector. This movement appeared in the late 1980s, and has already managed to attract enough interest internationally, to the point that the UN dedicated the year 2002 to ecotourism. The International Ecotourism Society defines ecotourism as responsible travel to natural areas that conserves the environment and improves the welfare of local people. It has drawn attention to an alternative accommodation, called ecolodge, which complies with the philosophy of ecotourism. It is a type of accommodation that respects the principles of nature conservation, benefiting the local population and providing educational activities. The term comes from the English word meaning lodge gatehouse and was first used to name the hotels in the national parks of Kenya, because these were small accommodation with few rooms, located in protected areas and giving service within guests. The first lodges were built by English colonists tried to imitate the native huts, the colonial houses or blending with nature. Today’s eco-lodges have evolved such that they cater to any preference of ecotourism lovers. The eco-lodges have to meet a minimum of rules by specific techniques or design standards: bio sustainable construction and suitable location, always seeking to minimize environmental impact, integration with the environment and get the right comfort. The design of the ecolodge and activities included in the enclosure should encourage interaction with the environment and culture of the area. 2. Build respect and environmental and cultural awareness. 3. Provide positive experiences for both visitors and hosts. 4. Provide direct financial benefits for conservation. 5. Provide financial benefits and enhance participation in decision-making in the local community. 6. Create sensitivity to the political, environmental and social climate in the host countries. 7. Support for universal human rights and labor laws. Despite the limited knowledge we have of the ecolodge ecotourism, as an option it is a viable and sustainable development which is a very interesting alternative. 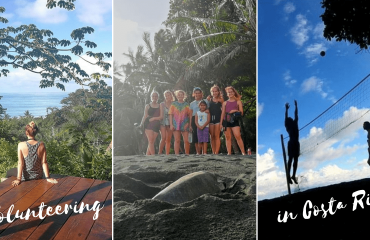 Countries such as Costa Rica, Kenya, Madagascar, Nepal and Ecuador (with its Galapagos Islands) where ecotourism produces a significant portion of foreign exchange earnings from the tourism sector are developing the concept of ecolodge. 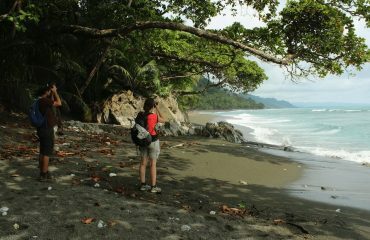 In Costa Rica specifically on the beautiful beach Carate, Osa Peninsula, you can find Finca Exotica ecolodge. Visit us, and know it really is eco accommodation. 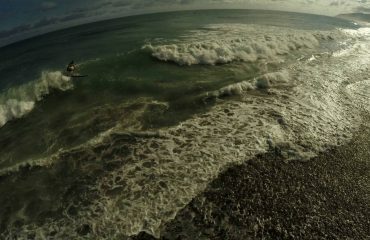 We pride ourselves on being organic, and we have all the guidance that you as eco tourists, look for on your vacations. In addition to our great location (just 45 minutes from Corcovado National Park) in Finca Exotica we have different trails that immerse into the beauty of our primary forest where you can observe different types of birds, monkeys, frogs and many insects and other mammals and can also organize your tours from here to the stations Sirena and La Leona within the majestic Corcovado National Park. For more information visit our website: https://fincaexotica.com/ or call us at: + (506) 4070 0054. At Finca Exotica ecolodge, an adventure awaits you!